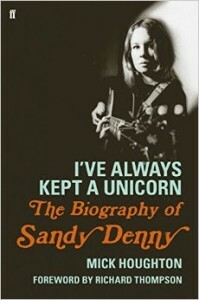 This is a unique opportunity to hear all about Sandy Denny from Mick Houghton, the author of the excellent biography I’ve Always Kept A Unicorn, and Fairport Convention, the group she sang for, from Ashley Hutchings, who founded the group in 1967, and Simon Nicol, who’s still with them today as they release their latest album Myths & Heroes. The three of them will be talking to David and Mark Ellen and signing afterwards. 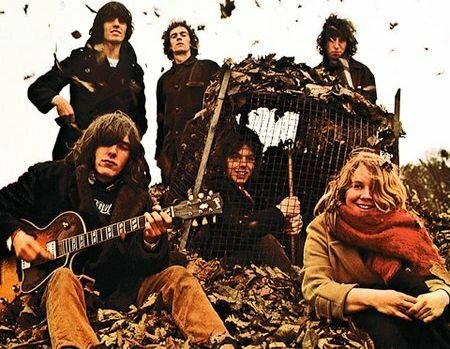 And please note, this Word In Your Ear will be in the Slaughtered Lamb. In every other respect it’s the usual deal. We’ll be putting it out as a podcast afterwards but if you want to make sure you don’t miss anything you have to be there on the night.